Why Join the 160,000+ Members of ARRL? Click on a membership benefit below to learn more about what ARRL has to offer. Members also get preferred subscription rates for QEX, the ARRL Forum for Communications Experimenters. Find information and services not available anywhere else! In addition to receiving QST by mail each month, members have access to the digital version of QST at no additional cost. Each month, ARRL will send members an email with the link to the digital edition where they can choose to read it online, or download the entire issue to their laptop. The new format offers several advantages including enhanced content, timely access, and a more interactive experience. The digital edition is easy to navigate; flip pages from cover-to-cover, zoom in/out, search (full text), print and share, and follow live hyperlinks. Each issue will include unique video and audio features, and other extra content. Members must have a valid ARRL website login to access the current digital edition of QST and archived editions. Search for QST articles 1915-2011 and indexes for QEX, NCJ, and Ham Radio. Note: Individual QEX, Ham Radio, and NCJ articles are not available online. QST issues 2012-present are available through the digital QST archive. Join today and subscribe to a bunch of FREE e-newsletters: ham radio news, radio clubs, public service, contesting and more! Get copies of any QST Product Review column from 1980 to the present. E-mail sent to your @arrl.net address will be forwarded to the e-mail account you specify. To sign up for an @arrl.net address, go to your profile and select the Edit Account tab and select the check box that says "Opt-in to have a <username>@arrl.net email alias." Connect with other ARRL members via a searchable online Member Directory. Share profiles, photos, and more with members who have similar interests. Let us be your mail carrier and handle your overseas QSLing chores. The savings you accumulate through this service alone can pay your membership dues many times over. And, if you’re part of the Diamond Club at the gold level or above, this service is FREE! Take courses to help you prepare to pass your license exam, upgrade, learn more about Amateur Radio activities or train for emergency communications or public service. ARRL also offers hundreds of books, CDs and videos on the technical, operating and licensing facets of Amateur Radio. ARRL supports legislation in Washington, D.C. that preserves and protects access to existing Amateur Radio frequencies as a natural resource for the enjoyment of all hams. As a member, you contribute to the efforts to preserve our privileges. ARRL's Regulatory Information Branch provides information on FCC and regulatory questions; problems with antenna, tower and zoning restrictions; and reciprocal licensing procedures. ARRL has built a national PR program designed to represent Amateur Radio to government, the media and the public. ARRL public relations tools include: news releases, fact sheets, brochures and much more. Be part of a League tradition and join a select group of ARRL Volunteers serving your fellow Radio Amateurs and the public. Amateur Radio contesting appeals to a ham’s competitive nature—winning awards, certificates and plaques. Contesting is a great way to increase operator proficiency as well as to advance the state-of-the-art. Contesters have developed digital communication protocols and leading-edge logging software. Get in on the fun with ARRL-sponsored contests and awards! The ARRL administers some of the most popular operating awards. You can increase your operating proficiency while you find out about the history and culture of places you've only dreamed of visiting. These awards are free to Diamond Club members who participate at the gold level or above. Find an ARRL-affiliated Amateur Radio club in your local area. Connect with local hams for ham radio activities and to learn from radio amateurs who have a variety of interests. ARRL members get discounts on emergency communications training courses and have access to a variety of other resources to help you develop and maintain the skills you need to effectively perform public service communications. ARRL members can also sign up to receive the FREE ARES E-Letter, a monthly newsletter filled with news for public service volunteers. Find hamfests and conventions near you. Learn more about ham radio by attending forums and presentations, meet other hams and buy new or used equipment. You can play a role in maintaining the integrity of the long tradition of Amateur Radio examination and licensing by becoming an ARRL Volunteer Examiner. Volunteer Examiners (VEs) are individuals accredited by a Volunteer Examiner Coordinator (VEC) who administer ham radio licensing and upgrading exams. 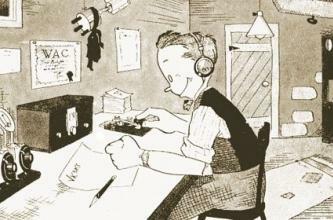 Founded in 1914, the ARRL is the national association for Amateur Radio in the USA. ARRL members enjoy information, services and benefits for a variety of interests and activities pursued by hams. Amateur Radio (“ham radio”) provides the broadest and most powerful wireless communications to any private citizen anywhere. This worldwide community of ham radio operators uses their radios for emergencies, experimentation, and fun! Lifetime membership includes full membership privileges plus QST for a lifetime! Be Our GUEST for 90-days Connect with other hams, customize your home page to see local events, clubs and news, receive E-Newsletters on topics you select, have the ARRL Letter delivered to your inbox. Find out how you can save on becoming an ARRL member! Find answers to many member FAQ.